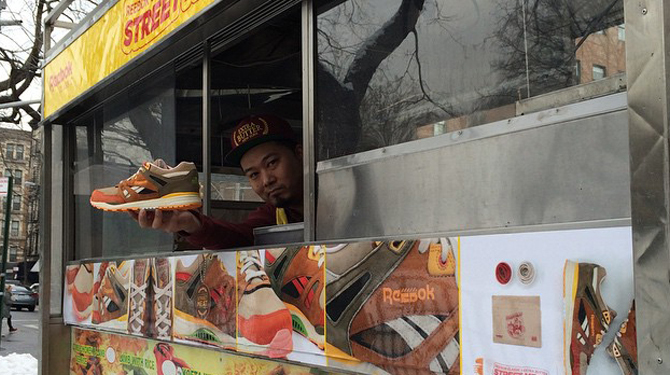 Because where else would you buy street meat-inspired sneakers? The Extra Butter x Reebok Ventilator "Street Meat" takes its inspiration from the halal carts that decorate the NYC city streets. And so, it only makes sense that they would give people the chance to purchase the sneaker from a real deal food cart. Ahead of the shoe's official launch at Extra Butter's brick and mortar, they're rolling around in the city today in this cart that's ditched the usual tasty imagery across the sides for images of the shop's supple shoe. 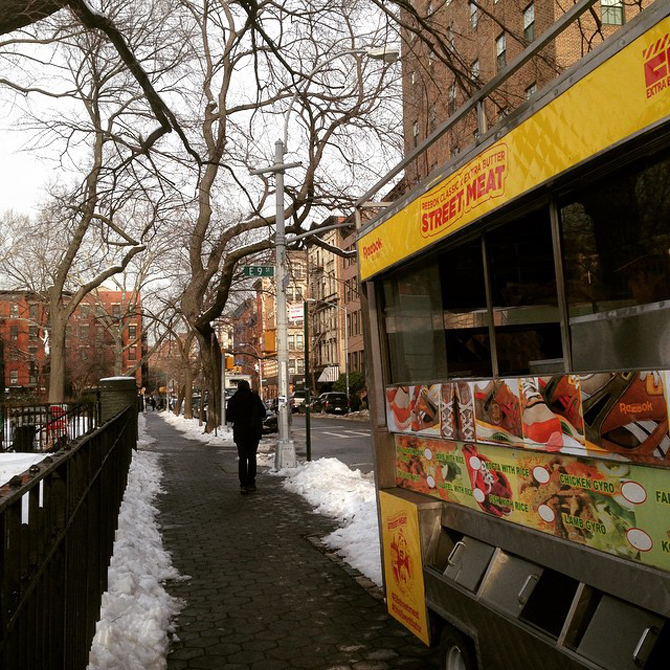 For the time being Extra Butter is at at Tompkins Square Park by 9th Street and Ave B, but it's hard to imagine the tour won't include a stop by the original Halal Guys spot up in Midtown. 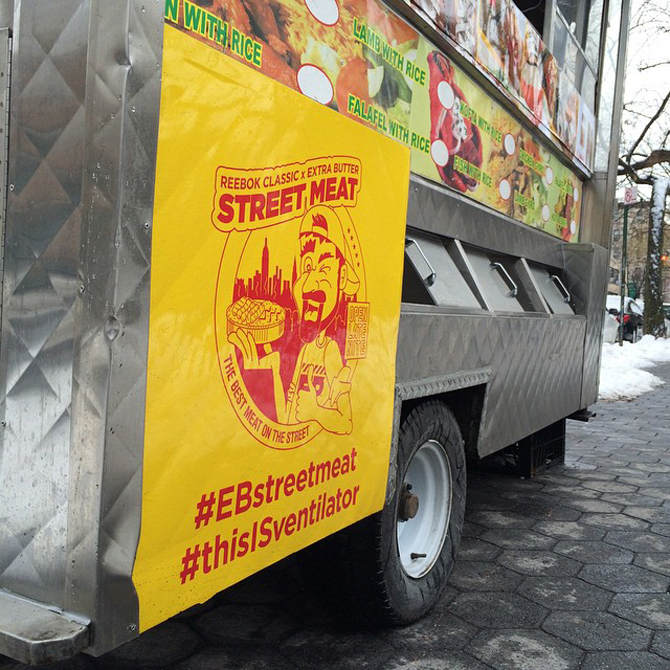 They're using #EBstreetmeat to blast out their location, so following the hashtag is a good bet for anyone hoping to purchase.